Settled agriculture, cities, nation-states, information technology and every other facet of the modern world have unfolded within a long era of climatic good fortune. Those days are gone. Sea levels are rising; climate is becoming less stable; average temperatures are increasing. Civilization emerged in a geological era known as the Holocene. Some have called our new climate era the Anthropocene. Future intelligent life will know we were here because some humans have filled the fossil record with such marvels as radiation from atomic bombs, plastics from the oil industry and chicken bones. What happens next is unpredictable at one level and entirely predictable at another. Regardless of what humans decide to do, the twenty-first century will be a time of “abrupt and irreversible” changes in the web of life. Earth system scientists have a rather dry term for such a fundamental turning point in the life of a biospheric system: state shift. Unfortunately, the ecology from which this geological change has emerged has also produced humans who are ill-equipped to receive news of this state shift. Nietzsche’s madman announcing the death of god was met in a similar fashion: although industrial Europe had reduced divine influence to the semi-compulsory Sunday-morning church attendance, nineteenth-century society couldn’t imagine a world without god. The twenty-first century has an analogue: it’s easier for most people to imagine the end of the planet than to imagine the end of capitalism. We need an intellectual state shift to accompany our new epoch. The first task is one of conceptual rigor, to note a problem in naming our new geological epoch the Anthropocene. The root, anthropos(Greek for “human”), suggests that it’s just humans being humans, in the way that kids will be kids or snakes will be snakes, that has caused climate change and the planet’s sixth mass extinction. It’s true that humans have been changing the planet since the end of the last ice age. A hunting rate slightly higher than the replenishment rate over centuries, together with shifting climate and grasslands, spelled the end for the Columbian Plains mammoth in North America, the orangutan’s overstuffed relative the Gigantopithecus in east Asia, and the giant Irish elk Megaloceros giganteus in Europe. Humans may even have been partly responsible for tempering a global cooling phase 12,000 years ago through agriculture-related greenhouse gas emissions. Hunting large mammals to extinction is one thing, but the speed and scale of destruction today can’t be extrapolated from the activities of our knuckle-dragging forebears. Today’s human activity isn’t exterminating mammoths through centuries of overhunting. Some humans are currently killing everything, from megafauna to microbiota, at speeds one hundred times higher than the background rate. We argue that what changed is capitalism, that modern history has, since the 1400s, unfolded in what is better termed the Capitalocene. Using this name means taking capitalism seriously, understanding it not just as an economic system but as a way of organizing the relations between humans and the rest of nature. In our new book, A History of the World in Seven Cheap Things (University of California Press), we show how the modern world has been made through seven cheap things: nature, money, work, care, food, energy and lives. Every word in that sentence is difficult. Cheap is the opposite of a bargain — cheapening is a set of strategies to control a wider web of life that includes humans. “Things” become things through armies and clerics and accountants and print. Most centrally, humans and nature don’t exist as giant seventeenth-century billiard balls crashing into each other. The pulse of life-making is messy, contentious and mutually sustaining. Our book introduces a way to think about the complex relationships between humans and the web of life that helps make sense of the world we’re in and suggests what it might become. As a teaser, let’s return to those chicken bones in the geological record, a capitalist trace of the relation between humans and the world’s most common bird, Gallus gallus domesticus. The chickens we eat today are very different from those consumed a century ago. Today’s birds are the result of intensive post-World War II efforts drawing on genetic material sourced freely from Asian jungles, which humans decided to recombine to produce the most profitable fowl. That bird can barely walk, reaches maturity in weeks, has an oversize breast, and is reared and slaughtered in geologically significant quantities (more than 60 billion birds a year). Think of this relationship as a sign of Cheap Nature. Already the most popular meat in the United States, chicken is projected to be the planet’s most popular flesh for human consumption by 2020. That will require a great deal of labor. Poultry workers are paid very little: in the United States, two cents for every dollar spent on a fast-food chicken goes to workers, and some chicken operators use prison labor, paid twenty-five cents per hour. Think of this as Cheap Work. In the US poultry industry, 86 percent of workers who cut wings are in pain because of the repetitive hacking and twisting on the line. Some employers mock their workers for reporting injury, and the denial of injury claims is common. The result for workers is a 15 percent decline in income for the ten years after injury. 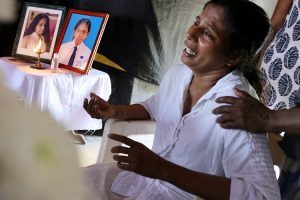 While recovering, workers will depend on their families and support networks, a factor outside the circuits of production but central to their continued participation in the workforce. Think of this as Cheap Care. The food produced by this industry ends up keeping bellies full and discontent down through low prices at the checkout and drive-through. That’s a strategy of Cheap Food. Chickens themselves are relatively minor contributors to climate change — they have only one stomach each and don’t burp out methane like cows do — but they’re bred in large lots that use a great deal of fuel to keep warm. This is the biggest contributor to the US poultry industry’s carbon footprint. You can’t have low-cost chicken without abundant propane: Cheap Energy. There is some risk in the commercial sale of these processed birds, but through franchising and subsidies, everything from easy financial and physical access to the land on which the soy feed for chickens is grown — mainly in China, Brazil and the United States — to small business loans, that risk is mitigated through public expense for private profit. This is one aspect of Cheap Money. Finally, persistent and frequent acts of chauvinism against categories of human life — such as women, the colonized, the poor, people of color and immigrants — have made each of these six cheap things possible. Fixing this ecology in place requires a final element — the rule of Cheap Lives. Yet at every step of this process, humans resist — from the Indigenous peoples whose flocks provide the source of genetic material for breeding through poultry and care workers demanding recognition and relief to those fighting against climate change and Wall Street. 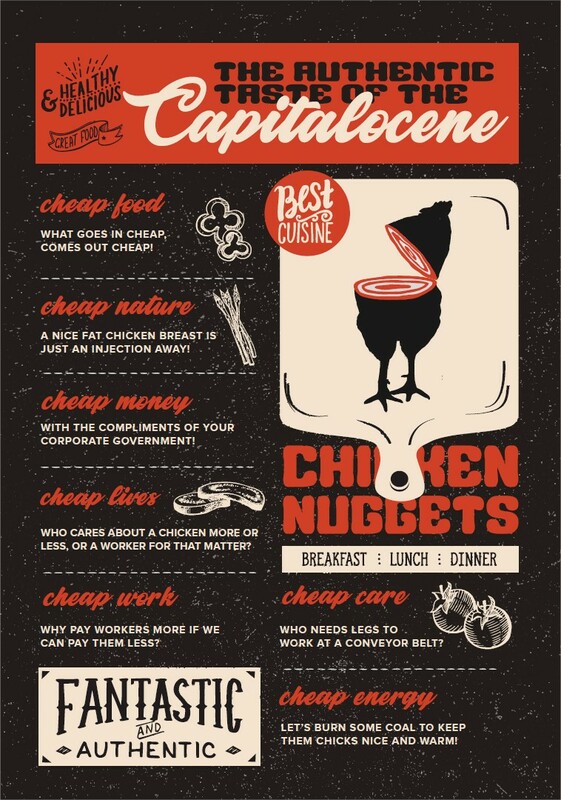 The social struggles over nature, money, work, care, food, energy and lives that attend the Capitalocene’s poultry bones amount to a case for why the most iconic symbol of the modern era isn’t the automobile or the smartphone but the Chicken McNugget. All this is forgotten in the act of dipping the chicken-and-soy product into a plastic pot of barbeque sauce. Yet the fossilized trace of a trillion birds will outlast — and mark the passage of — the humans who made them. That’s why we present the story of humans, nature and the system that changed the planet as a short history of the modern world: as an antidote to forgetting. It’s not some genetic code — or some human impulse to procreate — that has brought us to this point. It’s a specific set of relationships between humans and the biological and physical world. Civilizations don’t collapse because humans reproduce too fast and starve, as Robert Malthus warned in his Essay on the Principles of Population. Since 1970, the number of malnourished people has remained above 800 million, yet few talk of the end of civilization. Instead, great historical transitions occur because “business as usual” no longer works. The powerful have a way of sticking to time-honored strategies even when the reality is radically changing. So it was with feudal Europe. The Black Death was not simply a demographic catastrophe. It also tilted the balance of forces in European society. Feudalism depended on a growing population, not only to produce food but also to reproduce lordly power. The aristocracy wanted a relatively high peasant population, to maintain its bargaining position: many peasants competing for land was better than many lords competing for peasants. But feudalism was a system born of an earlier climate. Historians call this the Medieval Warm Period — it was so balmy that vineyards reached Norway. That changed at the dawn of the fourteenth century. Climate may not be destiny, but if there is a historical lesson from climate history, it’s that ruling classes don’t survive climate transitions. Feudalism’s class-enforced monocultures crumbled in the face of the Little Ice Age: famine and disease quickly followed. As a result, with the onset of the Black Death, webs of commerce and exchange didn’t just transmit disease — they became vectors of mass insurrection. Almost overnight, peasant revolts ceased being local affairs and became large-scale threats to the feudal order. After 1347 these uprisings were synchronized — they were system-wide responses to an epochal crisis, a fundamental breakdown in feudalism’s logic of power, production and nature. The Black Death precipitated an unbearable strain on a system already stretched to the breaking point. Europe after the plague was a place of unrelenting class war, from the Baltics to Iberia, London to Florence. Peasant demands for tax relief and the restoration of customary rights were calls that feudalism’s rulers could not tolerate. If Europe’s crowns, banks and aristocracies could not suffer such demands, neither could they restore the status quo ante, despite their best efforts. Repressive legislation to keep labor cheap, through wage controls or outright re-enserfment, came in reaction to the Black Death. Among the earliest was England’s Ordinance and Statute of Labourers, enacted in the teeth of the plague’s first onslaught (1349–51). The equivalent today would be to respond to an Ebola epidemic by making unionization harder. The labor effects of climate change were abundantly clear to Europe’s aristocrats, who exhausted themselves trying to keep business very much as usual. They failed almost entirely. Nowhere in western or central Europe was serfdom reestablished. Wages and living standards for peasants and urban workers improved substantially, enough to compensate for a decline in the overall size of the economy. Although this was a boon for most people, Europe’s 1 percent found their share of the economic surplus contracting. The old order was broken and could not be fixed. Capitalism emerged from this broken state of affairs. Ruling classes tried not just to restore the surplus but to expand it. That was easier said than done, however. East Asia was wealthier, so although its rulers also experienced socio-ecological tribulations, they found ways to accommodate upheaval, deforestation and resource shortages in their own tributary terms. One solution that reinvented humans’ relation to the web of life was stumbled upon by the Iberian aristocracy — in Portugal and Castile above all. By the end of the fifteenth century, these kingdoms and their societies had made war through the Reconquista, the centuries-long conflict with Muslim powers on the peninsula, and were so deeply dependent on Italian financiers to fund their military campaigns that Portugal and Castile had in turn been remade by war and debt. The mix of war debt and the promise of wealth through conquest spurred the earliest invasions of the Atlantic. The solution to war debt was more war, with the payoff being colonial profit on new, great frontiers. The modern world emerged from systematic attempts to fix crises at this frontier. What followed was an epochal transition: one that reinvented the surplus around a cocktail of banking, slaving, and killing. Our view of capitalism is part of a perspective that we call world-ecology. World-ecology has emerged in recent years as a way to think through human history in the web of life. Rather than begin with the separation of humans from the web of life, we ask questions about how humans — and human arrangements of power and violence, work and inequality — fit within nature. Capitalism is not just part of an ecology but is an ecology — a set of relationships integrating power, capital and nature. So when we write — and hyphenate — world-ecology, we draw on older traditions of “world-systems” to say that capitalism creates an ecology that expands over the planet through its frontiers, driven by forces of endless accumulation. To say world-ecology is not, therefore, to invoke the “ecology of the world” but to suggest an analysis that shows how relations of power, production and reproduction work through the web of life. The idea of world-ecology allows us to see how the modern world’s violent and exploitative relationships are rooted in five centuries of capitalism and also how these unequal arrangements — even those that appear timeless and necessary today — are contingent and in the midst of unprecedented crisis. World-ecology, then, offers something more than a different view of capitalism, nature and possible futures. It offers a way of seeing how humans make environments and environments make humans through the long sweep of modern history. This opens space for us to reconsider how the ways that we have been schooled to think of change — ecological, economic, and all the rest — are themselves implicated in today’s crises. That space is crucial if we are to understand the relationship between naming and acting on the world. Movements for social justice have long insisted on “naming the system” because the relationships among thought, language and emancipation are intimate and fundamental to power. World-ecology allows us to see how concepts we take for granted — like Nature and Society — are problems not just because they obscure actual life and history but because they emerged out of the violence of colonial and capitalist practice. Modern concepts of Nature and Society were born in Europe in the sixteenth century. These master concepts were not only formed in close relation to the dispossession of peasants in the colonies and in Europe but also themselves used as instruments of dispossession and genocide. The Nature/Society split was fundamental to a new, modern cosmology in which space was flat, time was linear and nature was external. That we are usually unaware of this bloody history — one that includes the early-modern expulsions of most women, Indigenous Peoples and Africans from humanity — is testimony to modernity’s extraordinary capacity to make us forget. World-ecology therefore commits not only to rethinking but to remembering. Too often we attribute capitalism’s devastation of life and environments to economic rapaciousness alone, when much of capitalism cannot be reduced to economics. Contrary to neoliberal claptrap, businesses and markets are ineffective at doing most of what makes capitalism run. Cultures, states and scientific complexes must work to keep humans obedient to norms of gender, race and class. New resource geographies need to be mapped and secured, mounting debts repaid, coin defended. World-ecology offers a way to recognize this, to remember — and see anew — the lives and labors of humans and other natures in the web of life. There is hope in world-ecology. To recognize the webs of life-making on which capitalism depends is also to find new conceptual tools with which to face the Capitalocene. As justice movements develop strategies for confronting planetary crisis — and alternatives to our present way of organizing nature — we need to think about the creative and expanded reproduction of democratic forms of life. A wan environmentalism is unlikely to make change if its principal theory rests on the historically bankrupt idea of immutable human separation from nature. Unfortunately, many of today’s politics take as given the transformation of the world into cheap things. Recall the last financial crisis, made possible by the tearing down of the boundary between retail and commercial banking in the United States. The Great Depression’s Glass-Steagall Act put that barrier in place to prevent future dealing of the kind that was understood to have knocked the global economy into a tailspin in the 1930s. American socialists and communists had been agitating for bank nationalization, and Franklin Roosevelt’s New Dealers offered the act as a compromise safeguard. When twenty-first-century liberal protesters demanded the return of Glass-Steagall, they were asking for a compromise, not for what had been surrendered to cheap finance: housing. Similarly, when unions demand fifteen dollars an hour for work in the United States, a demand we have supported, a grand vision for the future of work is absent. Why should the future of care and food-service workers be to receive an incremental salary increase, barely enough on which to subsist? Why, indeed, ought ideas of human dignity be linked to hard work? Might there not be space to demand not just drudgery from work but the chance to contribute to making the world better? Although the welfare state has expanded, becoming the fastest-growing share of household income in the United States and accounting for 20 percent of household income by 2000, its transfers haven’t ended the burden of women’s work. Surely the political demand that household work be reduced, rewarded and redistributed is the ultimate goal? We see the need to dream for more radical change than contemporary politics offers. Consider, to take another example, that cheap fossil fuel has its advocates among right-wing think tanks from India to the United States. While liberals propose a photovoltaic future, they can too easily forget the suffering involved in the mineral infrastructure on which their alternative depends. The food movement has remained hospitable to those who would either raise the price of food while ignoring poverty or engineer alternatives to food that will allow poverty to persist, albeit with added vitamins. And, of course, the persistence of the politics of cheap lives can be found in the return to supremacism from Russia and South Africa to the United States and China in the name of “protecting the nation.” We aren’t sanguine about the future either, given polling data from the National Opinion Research Center at the University of Chicago which found that 35 percent of baby boomers feel blacks are lazier/less hardworking than whites and 31 percent of millennials feel the same way. While maintaining a healthy pessimism of the intellect, we find optimism of the will through the work of organizations that see far more mutability in social relations. Many of these groups are already tackling cheap things. Unions want higher wages. Climate change activists want to revalue our relationship to energy, and those who’ve read Naomi Klein’s work will recognize that much more must change too. Food campaigners want to change what we eat and how we grow it so that everyone eats well. Domestic worker organizers want society to recognize the work done in homes and care facilities. The Occupy movement wants debt to be canceled and those threatened with foreclosure and exclusion allowed to remain in their homes. Radical ecologists want to change the way we think about all life on earth. The Movement for Black Lives, Indigenous groups and immigrant-rights activists want equality and reparation for historical injustice. Each of these movements might provoke a moment of crisis. Capitalism has always been shaped by resistance — from slave uprisings to mass strikes, from anticolonial revolts through abolition to the organization for women’s and Indigenous peoples’ rights — and has always managed to survive. Yet all of today’s movements are connected, and together they offer an antidote to pessimism. World-ecology can help connect the dots. We do not offer solutions that return to the past. We agree with Alice Walker that “activism is the rent I pay for living on the planet” and that if there is to be life after capitalism, it will come through the struggles of people on the ground for which they fight. We don’t deny that if politics are to transform, they must begin where people currently find themselves. But we cannot end with the same abstractions that capitalism has made, of nature, society and economy. We must find the language and politics for new civilizations, find ways of living through the state shift that capitalism’s ecology has wrought. Weighing the injustices of centuries of exploitation can resacralize human relations within the web of life. Redistributing care, land and work so that everyone has a chance to contribute to the improvement of their lives and to that of the ecology around them can undo the violence of abstraction that capitalism makes us perform every day. We term this vision “reparation ecology” and offer it as a way to see history as well as the future, a practice and a commitment to equality and reimagined relations for humans in the web of life. Raj Patel is the author of “Stuff and Starved” and “The Value of Nothing” and a professor at the University of Texas at Austin. His work has appeared in The Guardian, Los Angeles Times, and the New York Times. 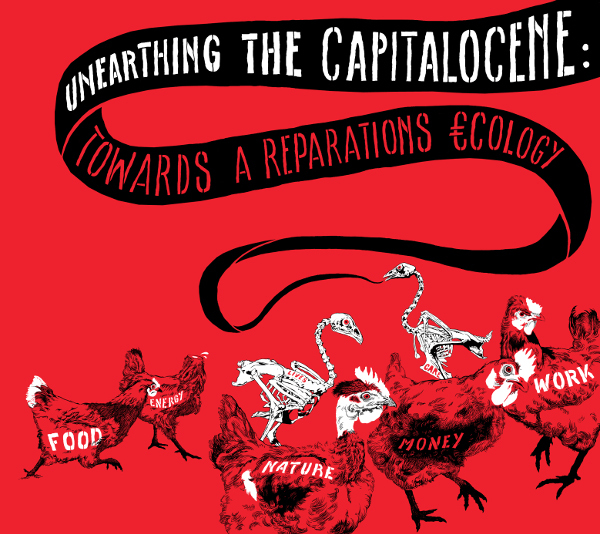 “Capital in the Web of Life, Ecology and the Accumulation of Capital, by Jason W Moore, a Must Read, Moore-s scope is Vast, says Raj Patel.” And so it may be. I simply could not struggle through the book. I bought it and put it aside. So I was happy to find the simplified version of the analysis that the author and his follower put together over twenty years in this article. The core message seems to be that redistributing care, land and work so that everyone has a chance to contribute to the improvement of their lives and to that of the ecology around them can undo the violence of abstraction that capitalism makes us perform every day and thus they quote Alice Walker that activism is the rent I pay for living on the planet. Sure. Agreed.